When En Route editor Andy Arnts asked if I was interested in going on a press trip to Bergerac, it didn’t take long for me to say ‘yes’. I love the city and am there every summer during our vacations in Duras, which, as you may know by now, is “my heart’s home”. You can imagine my surprise when I reread the mail he sent me and discovered that the press trip would also take us to… Duras! 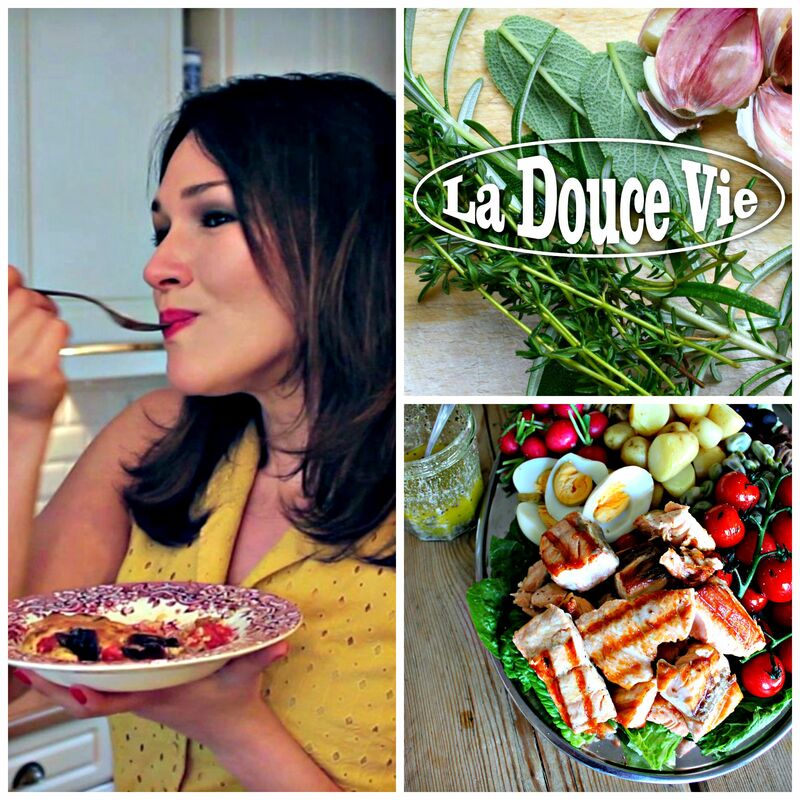 In case, you don’t know, by the way, I am the culinary columnist for En Route. 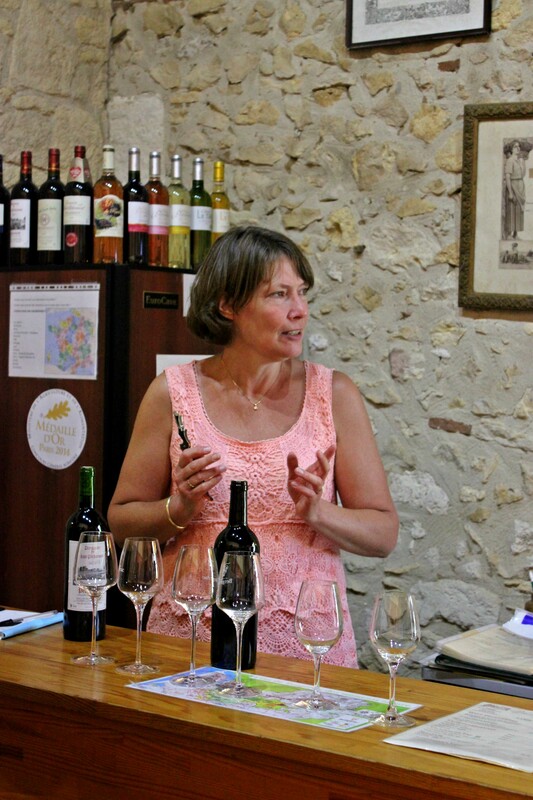 The trip, which was organized by Vins de Bergerac & Duras and Business France, featured wine, food and culture. We (I had the pleasure of being in the company of Renée Salome from Winelife, Loethe Olthuis from the Volkskrant and Marjolein Schipper from De Telegraaf) had the chance to taste fantastic Bergerac wines (I am especially in love with the wines from Château Bélingard, and Laurent, the owner is just about the most charming person you will ever meet), dine at Michelin-starred restaurants such as Les Fresques at Château des Vigiers and La Tour des Vents, and visit beautiful places such as the château and tower of French philosopher Michel Montaigne and Château de Monbazillac. Being in Duras again (just weeks before our vacation) was also fantastic. 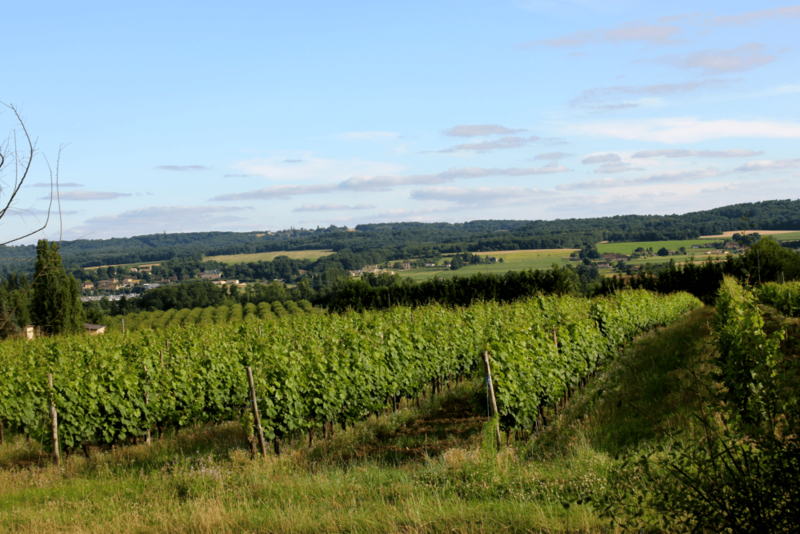 One afternoon, we visited the Maison des Vins and had a lovely walk through the Berticot vineyards. We were in the village late at night though, so it was pretty much deserted, but we did get treated to a spectacular light show at the château! We stayed at the beautiful Château les Merles where I also got a chance to interview the gracious owners Jan van Grinsven and his wife José as part of an assignment for an awesome magazine (more on that in due course). I can tell you, however, that I pitched the magazine just days before my departure and got the ‘go-ahead’ the same day! Mr. Van Grinsven was a joy to talk to. He is truly an example of someone who isn’t afraid of chasing dreams. Oh, and I really enjoyed hopping on one of the golf carts with him and seeing both his abundant potager (which is used by the on-site restaurant) and his favorite spot overlooking the vineyards! Now I know this may all sound idyllic (and that I may even make you slightly jealous), but believe me, press trips are not all-expense paid vacations — they are work, and the workdays are long (but lots of fun)! Every sip of wine, every bite of food and every place is carefully analyzed. I made notes, took video, recorded explanations, took pictures, posted extensively on social media… and then came home and spent the next two weeks organizing all the material, doing further research and writing. But this is the best job ever. I can definitely say that my work involves a lot of ‘pinch me’ moments! Here are some pictures. You can find more on Instagram. Château les Merles, where we stayed during our trip. Beautiful four-starred hotel with GaultMillau restaurant and lovely owners. 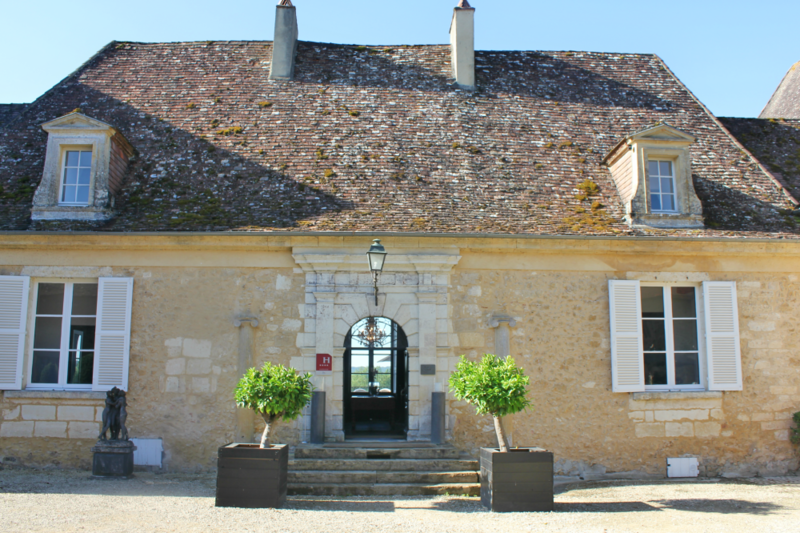 Wines at Bergerac’s Maison des Vins. Jan van Grinsven’s (owner of Les Merles) favorite spot. 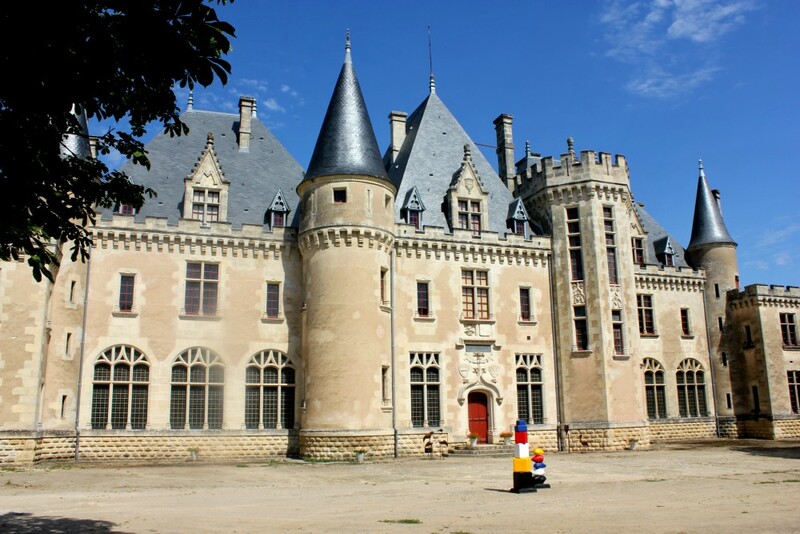 Château de Montaigne, where French philosopher Michel Montaigne wrote his famous ‘Essais’. The book is now on my night table. Tasting session at Domaine du Haut-Pécharmant. 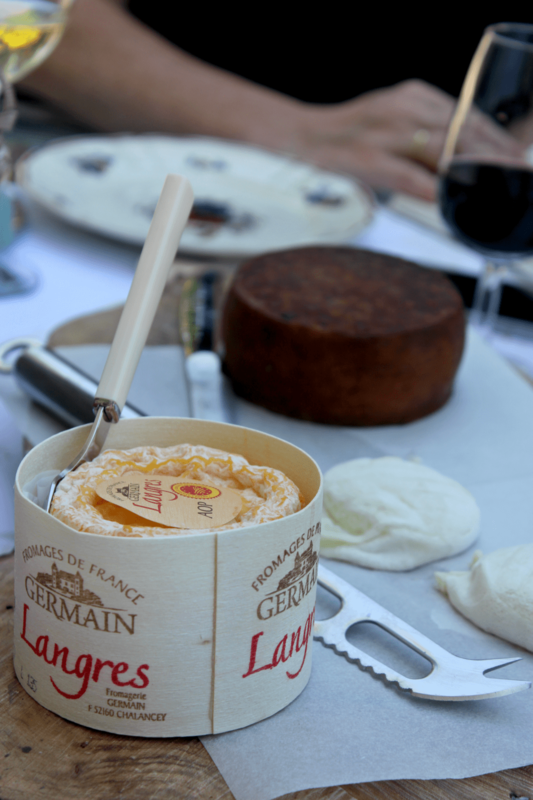 The lovely cheese course served by Paul Ebbing and Reinoud Slinkman of La Maison Forte. Tasting with Hugh Ryman at his organic vineyard, Château de la Jaubertie. 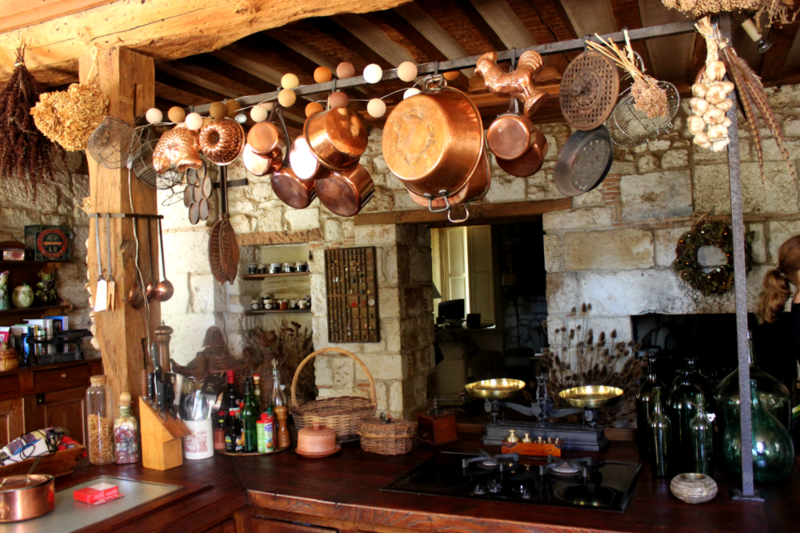 The marvelous kitchen at La Jaubertie… what a dream! Enjoying dinner with Daniel Hecquet from Château Puy Servain at Michelin-starred restaurant Les Fresques. Tasting at Berticot in Duras. Wines I know all too well! A wonderful way to end our press trip: lunch with Laurent and Sylvie de Bosredon of Château Bélingard! 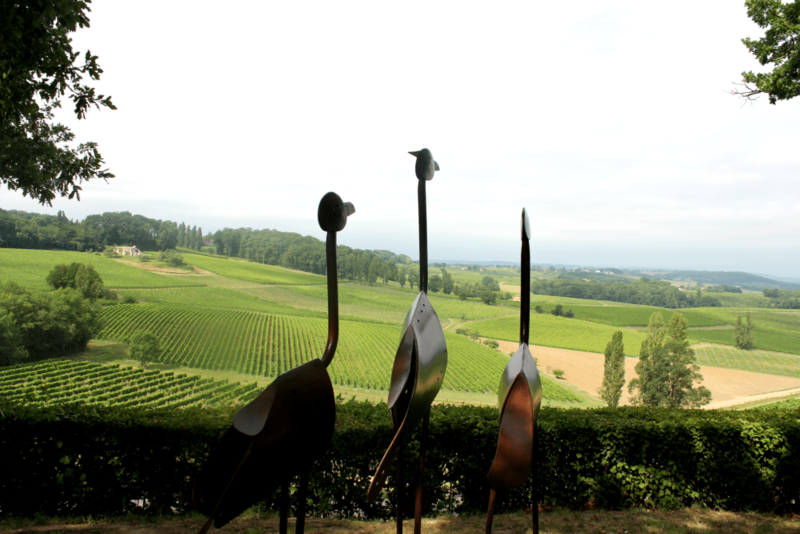 Views over Château Bélingard… stunning.